But never have I felt such immense pain and tears. 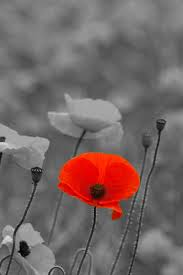 In gratitude I bow my head, thankful to all who fought & fell; Remembered now by a flower of red. But there are those who came & left silently, who fought for their life & battled non-violently. Victims to a rare defect & illness, but then suddenly gone in a moment of stillness. Every November where we think of those in war, but what about the ones who battled that the world never saw? I wear a paper poppy, I’ve worn for one years but with a poppy in my heart there’s never been such pain & tears.